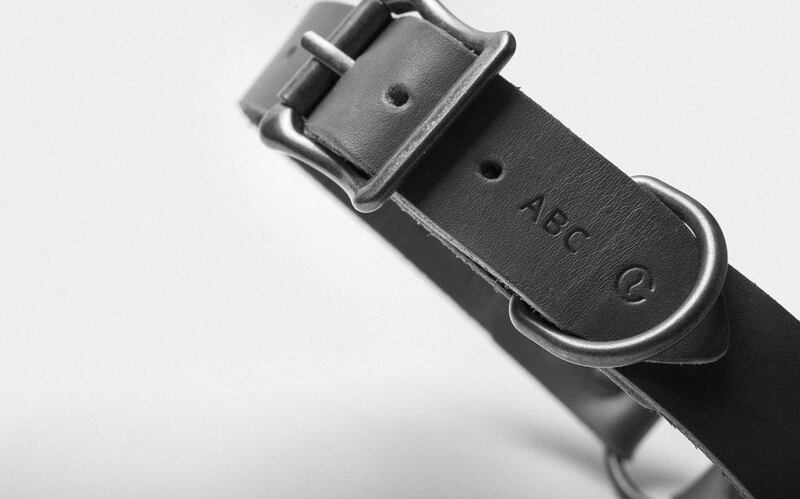 Our dog collar is manufactured with leather tanned in Spain and it has a width of 2.5 cm and a thickness of 3 mm, which give the collar great durability. It features a safety central ring for inversion if your dog catches it on a branch. The hardware is made in the USA and finished with old gold. All the measurements of the dog collars are from the buckle to the middle hole, having a total of 5 different positions per collar. Sizes: (S) 42cm / (M) 50cm / (L) 58cm *All measurements of the collars are from the buckle to the middle hole.